I read this quote, spoken by the author C.S Lewis, recently and it really struck a chord with me, and it was timely too, given the impending release of my new book Ballerina Monkey, and the inspiration behind it. As a long-time lover of children’s books, I agree that the best can be easily enjoyed by adults and children alike. The same applies to the lessons learnt, sometimes hidden deep within the subtext of the most wonderful children’s stories. 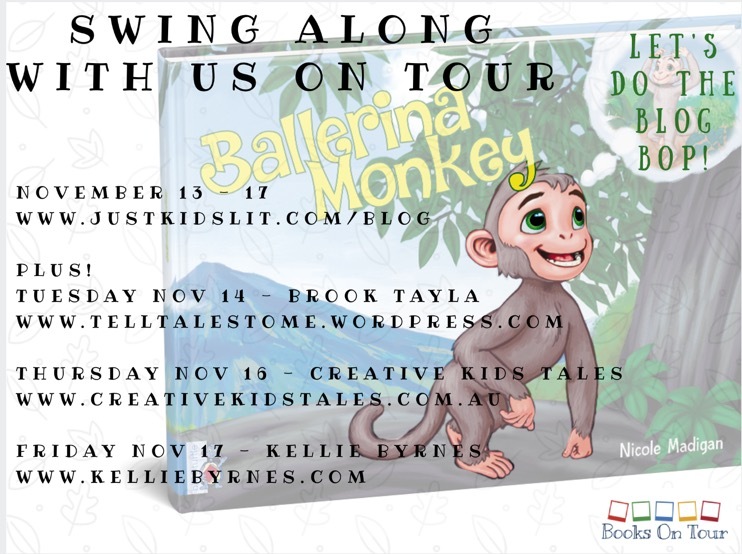 I wrote a post recently for this blog about the inspiration behind Ballerina Monkey – that being my young children, their non-typical interests at that time, and my desire for them to have the strength to be true to themselves throughout their lives. And while that is indeed true, I too was experiencing personal circumstances where I felt my values – my truth – were being compromised. And so my desire for my children to be their own people was strengthened, and gave me the push I needed to put pen to paper (fingers to keyboard?) and bring Ballerina Monkey to life. So while the book’s simple message for children is to be themselves, I hope that adults too can take some inspiration from the story. There are four key take-home messages that – I hope – can be found within the pages – and here they are. “Monkeys don’t dance silly!” she laughs. She’s right. So with his face hung low, Malik carries on sweeping through the coconut trees with the others. He swings and loops and loops and swings. But he isn’t having any fun. 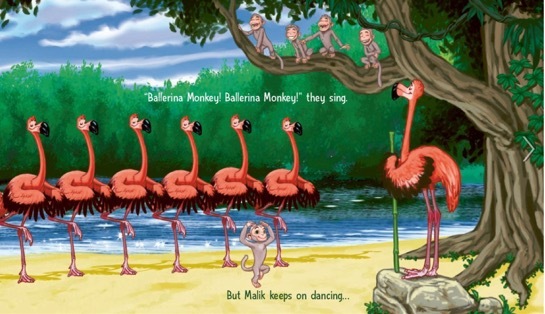 Malik wants to dance. It’s all he can think about! Figuring out what our values actually are can be confusing. Especially in a society where so many different views, opinions, beliefs and attitudes are thrown in front of our faces on a regular basis, thanks to technology and social media. Most of us experience pressure to change our values – either directly or indirectly – by our peers, our friends, our colleagues or our loved ones. And we can end up questioning our values, making allowances or convincing ourselves of something different. And it’s that uncomfortable feeling, that knot in the stomach that tells us when those values are being questioned – by others or ourselves. It can take more strength to stay true to your values than to compromise them. But in the long run, you’ll thank yourself for it. Malik knows he isn’t supposed to be dancing. He knows he’s different to the others, but he simply can’t help it! For the first time he is truly being himself and he wants to show the world! Probably the most important lesson, and perhaps the most difficult, is to simply live your truth. Don’t change because someone wants you to, or asks you to, to make more friends, keep a partner happy or to fit in. Love the best way you know how and expect the same in return. Be compassionate and forgiving, but strong and independent. Know how to treat others, and how to be treated. Be true to your values, and value yourself. Your health, your happiness, your beliefs, your life. “Ballerina Monkey! Ballerina Monkey!” they sing. But not Mala. Sometimes the people that are the most loyal, that love us unconditionally, are the ones we take for granted. And that can mean focusing our time and energy on those we want in our lives, or who we wish to impress, rather than the ones who are already there. Don’t risk losing – or hurting – the people who love you the most. Don’t waste your energy on people who are half-hearted about you and your feelings and your life. Instead spend it on the people who steadfast stand by your side, who support you without fail and realise how lucky they are to have you. And, equally as important, expect the same from others. Although he’s embarrassed, Malik takes a deep breath, remembers his mother’s words, and continues to dance. There are battles, sadness, anger, horror, fear, frustration and confusion. Sometimes it feels like that’s all there is. Don’t let the hard times make you bitter and hateful. Allow yourself to feel what you need to feel, no matter how low you need to go… just remember to come back up. There is always beauty, love, laughter, joy and peace in the world – sometimes you just have to look a little harder to find it. Nicole Madigan is a Brisbane based writer and widely published journalist with more than 15 years experience in the media and communications industries. Having always been an avid reader and lover of words, Nicole’s writing career began as a newspaper journalist, where she spent several years before switching mediums, taking on a role as an on-air television reporter with Channel Nine. After the birth of her first child some years later, Nicole returned to her true love – writing. Since then, she has enjoyed a successful career as a freelance journalist and writer, enabling her to work around her growing family, while writing for a wide variety of high profile publications. Three children later, Nicole’s love of children’s literature has continued to grow, as has her belief that reading to your child is one of the most precious gifts you can give them. 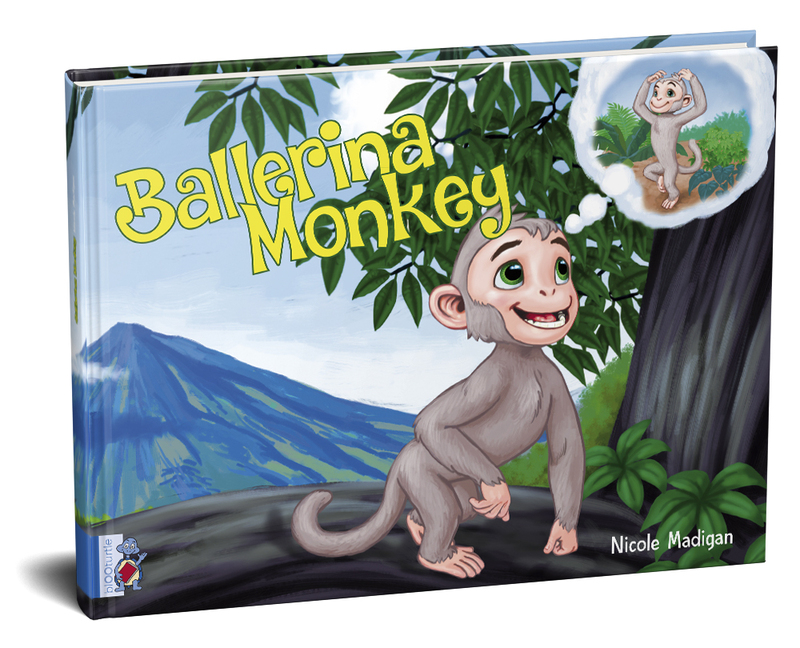 Nicole is the author of Darcy and the Dinosaurs, and Ballerina Monkey, both published by BlOOturtle Publishing.